Washington DC is famous worldwide for the White House, United States Capitol, Lincoln Memoria, the Smithsonian National Museum of Natural History, and more. But, beyond these popular attractions, Washington DC has interesting, quirky places worthy to be discovered. 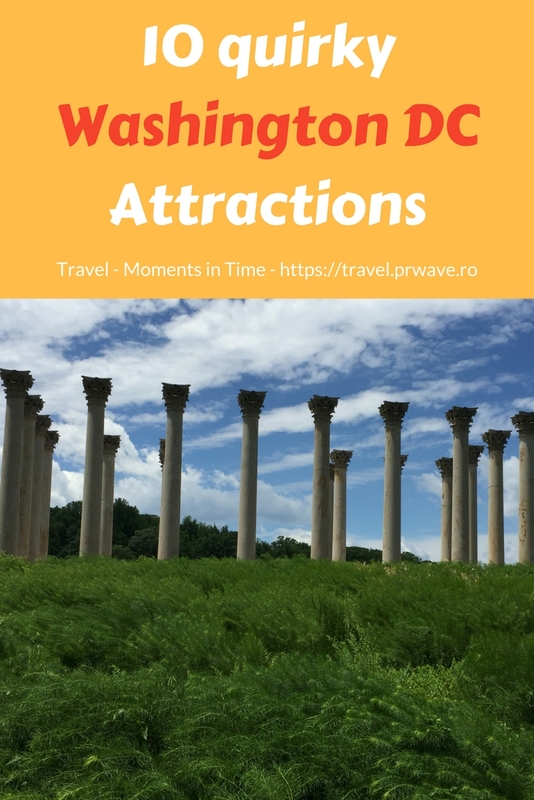 Here are 10 offbeat Washington DC attractions presented by Julie Peters, blogger at Travelasmuch.com – in a new article part of the Curiosities series from Travel – Moments in Time. This is part tourist attraction, part luxury hotel. The building was designed by Edward Clark (architect of the Capitol building) in 1892. The interior design of the Mansion on O Street became noted for unique and eccentric styling of various architectural, artistic and design periods. It is a series of five interconnected town houses that includes over 100 rooms of varying architectural, artistic and design periods, from the Victorian Age to Art Deco/Avant Garde, and over 70 secret doors. Highlights include hand painted ceilings, original Tiffany stained glass windows, a two-story Log Cabin (inside the building!) and a secluded Art Deco penthouse with private elevator. The unique decor has been chronicled in books including James Patterson’s Four Blind Mice. Tours and accommodations vary in price. The Mansion is located at 2020 O Street NW. Technically, this is across the river in Arlington, Virginia, but still accessible via the DC Metro subway and worth a visit. The museum has a collection of artifacts related to the history of drugs and drug law enforcement, with more than 2,000 objects ranging from old patent medicine bottles to modern drug concealment containers. One exhibit addresses prescription drug abuse in America, another deals with how drug trafficking has evolved over the past few decades. Their biggest exhibit deals with the costs and consequences of drug abuse. The museum offers free admission, and is located at 700 Army Navy Drive in Arlington, Virginia. 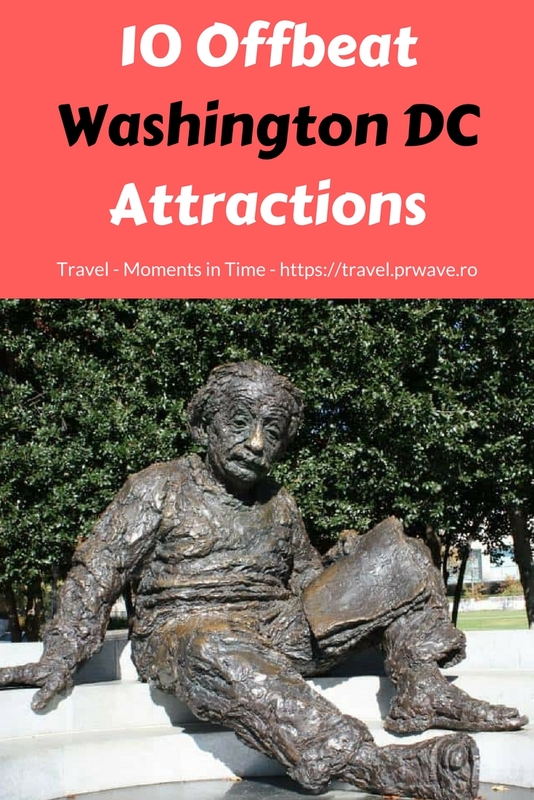 Located at the National Academy of Sciences, this giant bronze statue of Albert Einstein is one of the more fun monuments in Washington. There is something so grandfatherly about this statue and so benevolent about Einstein’s facial expression. I have never visited this memorial and not seen someone climb up to sit in Einstein’s lap. 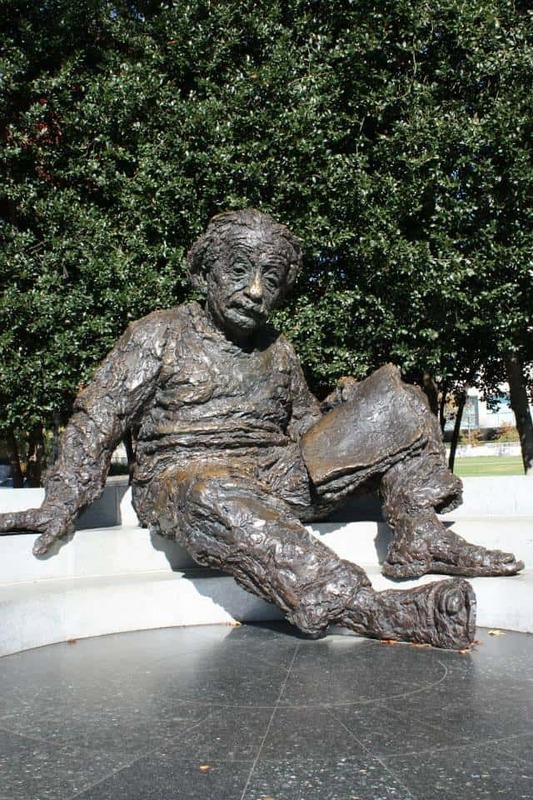 Visitors can see the Einstein memorial free of charge outside the National Academy of Sciences at 2101 Constitution Avenue NW. Housed in the historic Friendship Baptist Church, built in 1886, the SW Arts Club contains over 15,000 square feet of space dedicated to community-based arts programming. The outside of the building is painted in a hodgepodge of vivid colors and patterns, and the interior contains both traditional gallery space and colorful street art style graffiti. 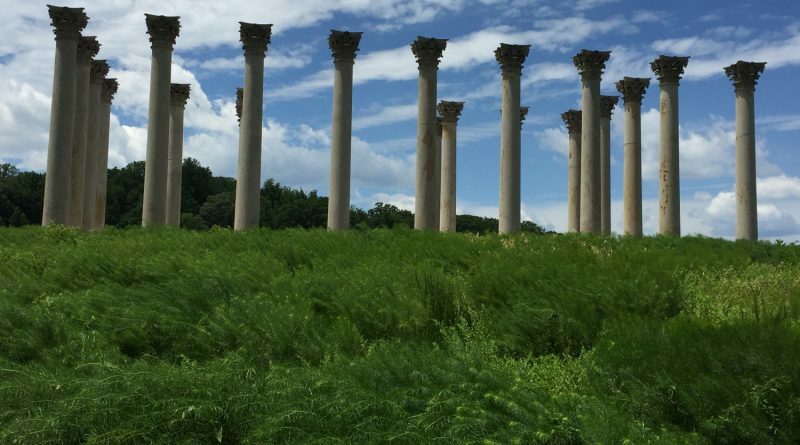 The address for Blind Whino is 700 Delaware Avenue SW.
Twenty-two tall Corinthian columns that used to be part of the US Capitol building are artfully arranged with a reflecting pool. Very Instagram-worthy. While you’re at the Arboretum, you can also visit the National Bonsai and Penjing Museum to marvel at the tiny trees. 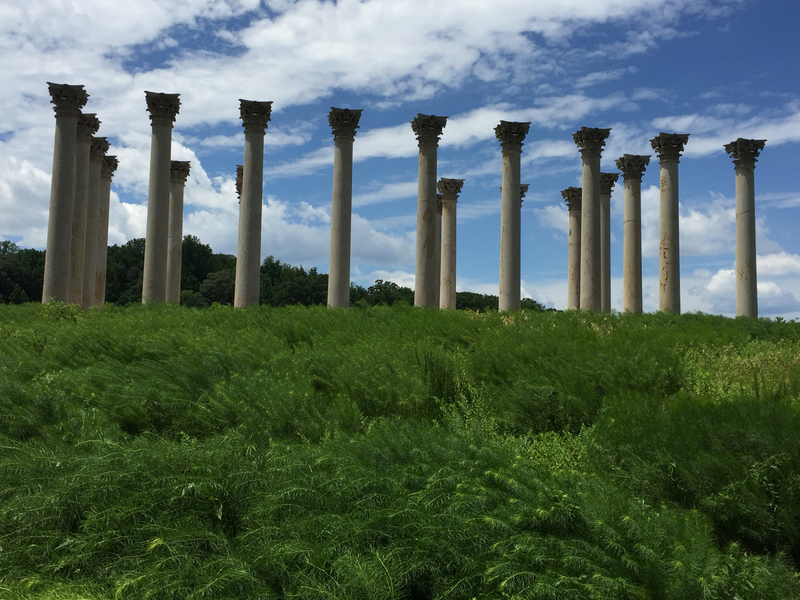 There is no charge to visit the National Arboretum. The address is 2400 R Street NE. Visitors to this monastery can explore the full-size replicas of Holy Land shrines, a beautiful church and contemplative gardens. Guided tours of the church and its shrines, plus the catacombs, Purgatory Chapel and grottoes are held daily. Free to visit and tour; located at 1400 Quincy Street NE. This very underrated branch of the Smithsonian’s national museums has a lot to offer, even if you aren’t into stamp collecting. It’s housed in a grand old post office and contains exhibits about every aspect of mail delivery. 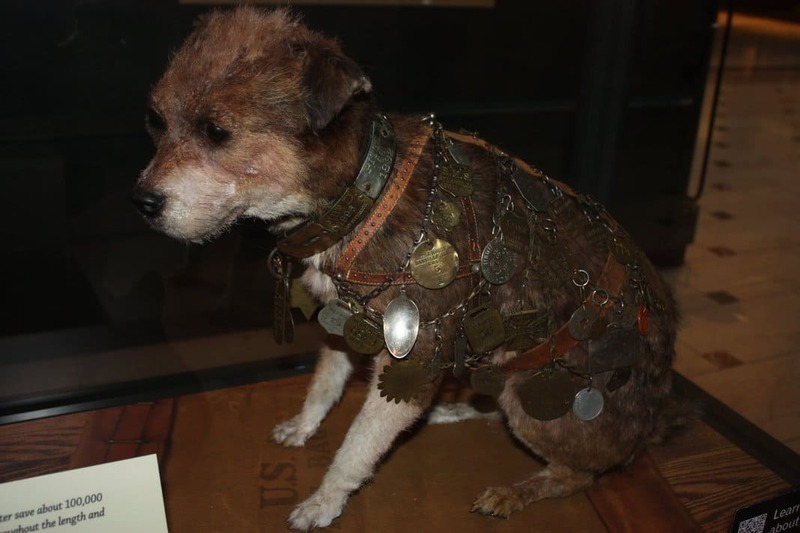 The oddest and most intriguing display is the preserved figure of a dog named Owney, the unofficial mascot of the Railway Mail Service. The Postal Museum is located at 2 Massachusetts Avenue NE and offers free admission. The Bureau’s Tour and Visitor Center is a great place to learn all about U.S. paper currency. You can see millions of dollars being printed as you walk along the gallery overlooking the production floor! The free 40-minute experience includes an introductory film and gallery tour of the production process. The visitor center includes exhibits and currency products for sale. Admission is free but tickets are required. The ticket booth is located on Raoul Wallenburg Place (formerly 15th Street SW). Founded in 1807, the cemetery has a fine collection of 19th century tombs in various styles, materials, and forms. Particularly significant among the monuments are the striking memorials designed for members of Congress by Benjamin Henry Latrobe. These monuments were placed in memory of members of Congress who died while in office between 1807 and 1878, some of whom were buried elsewhere – hence the common reference to Latrobe’s monuments as “cenotaphs” (empty grave). Visitors to the cemetery will find gravesites of one Vice President, one Supreme Court justice, six Cabinet members, 19 Senators and 71 Representatives (including a former Speaker of the House), as well as veterans of every American war, FBI Director J. Edgar Hoover, and John Philip Sousa. The cemetery is located at 1801 E Street SE. Outside the Warner Theater, there are about 15 star-shaped plaques embedded in the pavement. Most are accompanied by the celebrity’s signature in cement. Some notable stars memorialized here are Frank Sinatra, Liza Minelli, Prince, Johnny Cash, and others. The theatre is located at 513 13th Street NW. 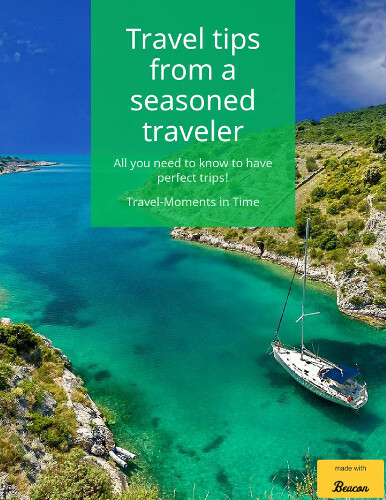 Julie Peters has been writing about interesting places on her blog, Travelasmuch.com, for the past two years. Follow her travels on social media: Twitter, Facebook, and instagram.